Isn’t it awesome!?!?! I fell in love with it the moment she posted it and I ended up rotating it 90 degrees. My sweet Penny playing in the pool. She wasn’t even a year old yet – Summer 2013. 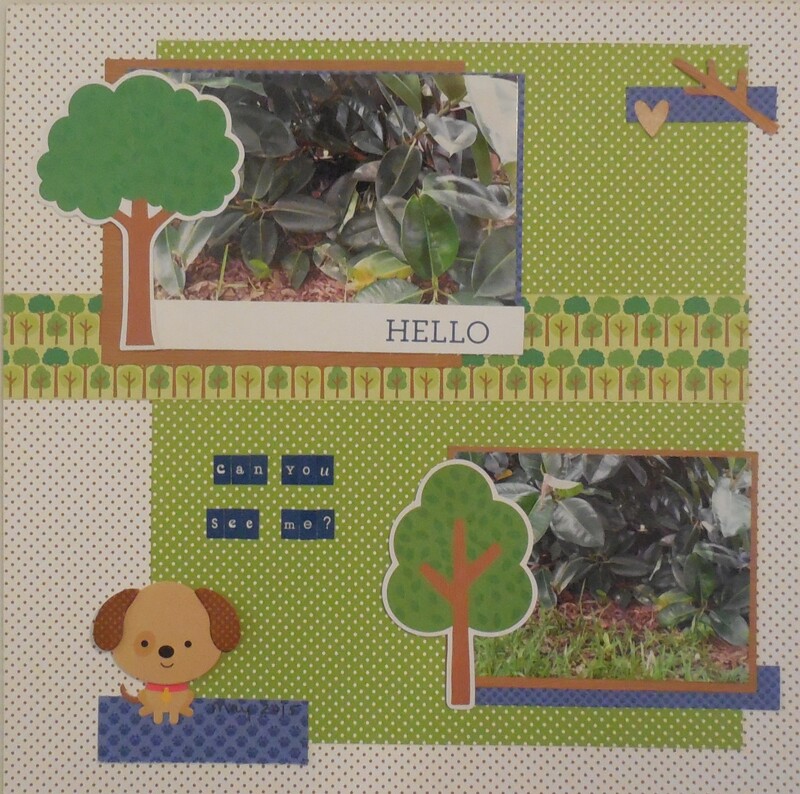 I used papers from Chickaniddy and Bella Blvd, with enamel shapes/dots by various companies: MME, Basic Grey, Webster’s Pages, Doodlebug and The Paper Studio. 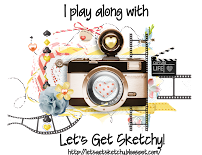 The cute camera veneer, as well as the heart and tag are by Basic Grey. The little stickers are Simple Stories. 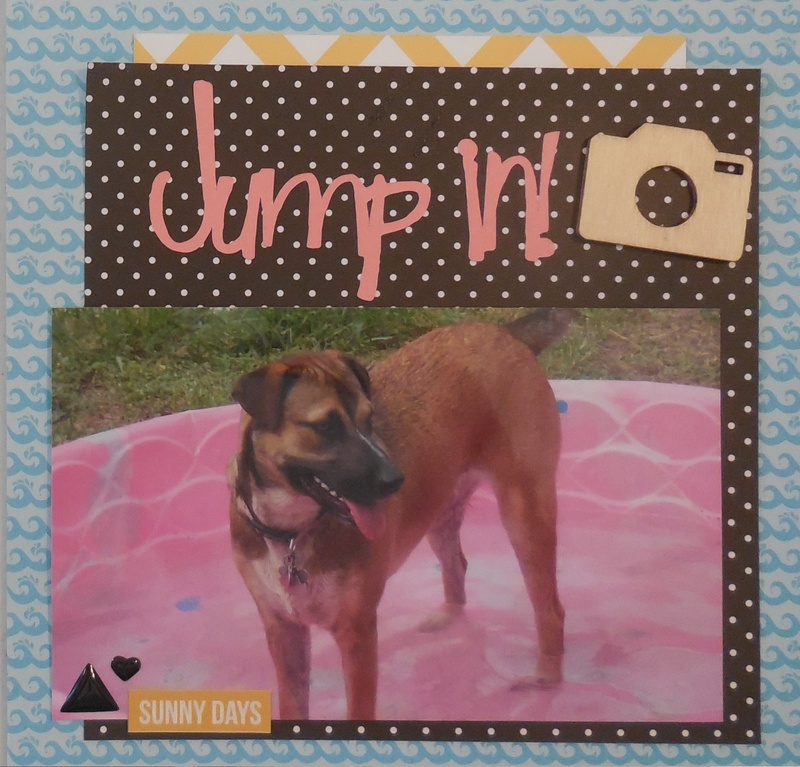 The die cut title/sub-title – “Jump In!” and “Water fun” are from the Cricut cartridge “H2O”. Make sure you come and join us this month over at Sketch N Scrap. Not only do we have our usual 2 layouts and 2 car sketches, but we’re celebrating all month long with a birthday bash! Make sure to stop by and play along! 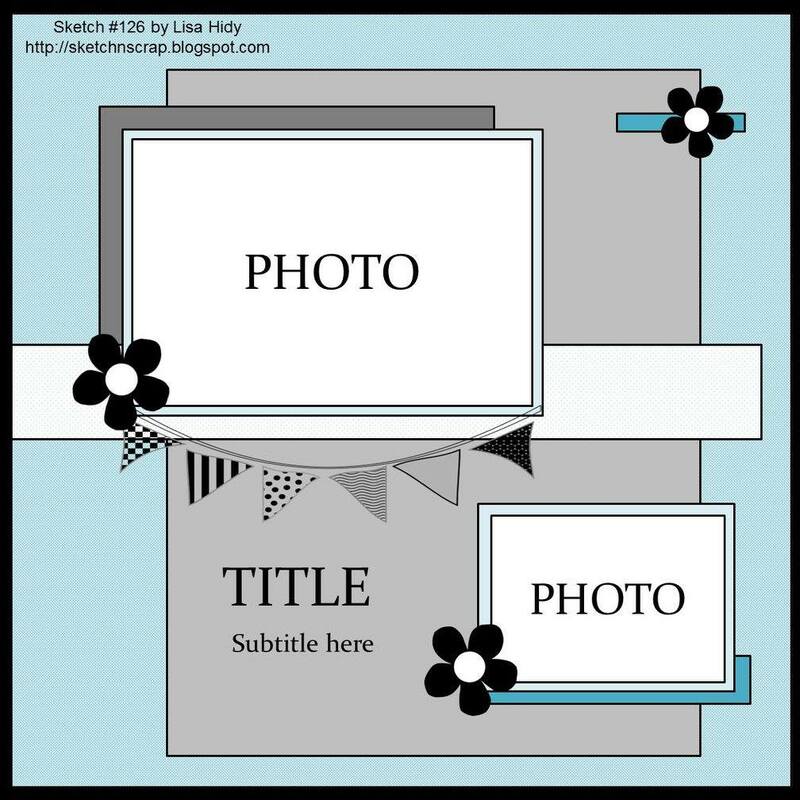 All pattern papers are Heidi Swapp, PL card is Dear Lizzy and the heart stones are Prima. Make sure you check out the rest of the DT’s fabulous take on this wonderful sketch and hope you can play along! Happy Birthday Sketch N Scrap! 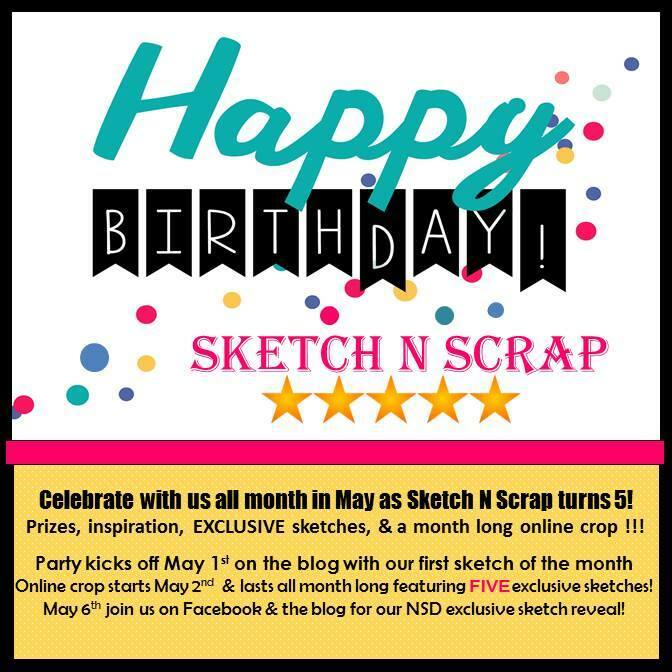 Sketch N Scrap is turning 5 years old on May 1st and to celebrate, we’re throwing a month-long party! Brand new EXCLUSIVE sketches, a month long online crop, on top of our regular 2 cards/2 layouts during the month! Mark your calendars! Its going to be TONS of fun! I used Bo Bunny “Liberty” collection (yes, another oldie but goodie). 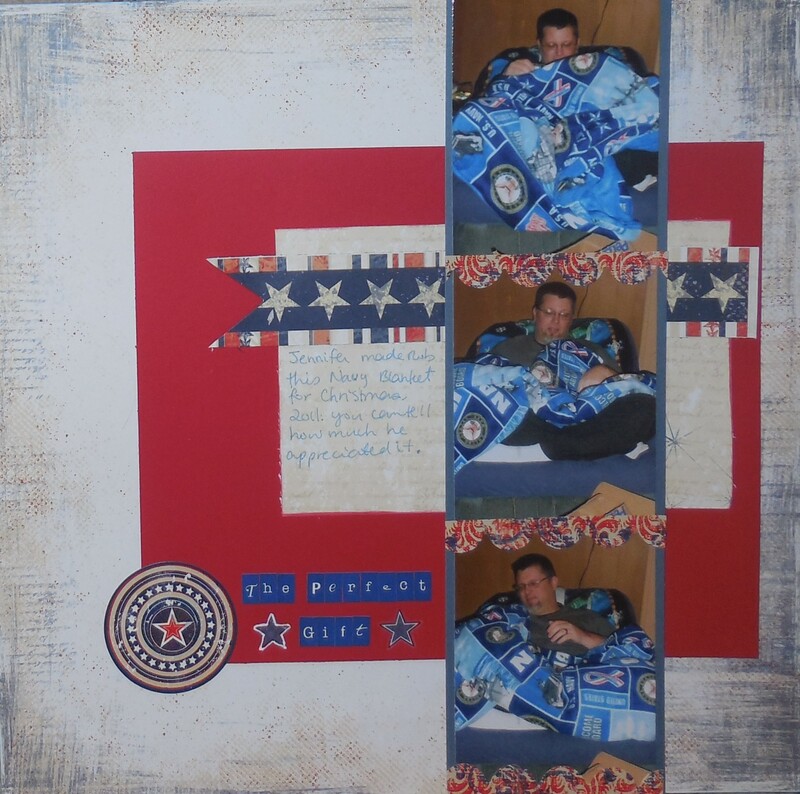 Journaling reads: Jennifer made Rob this NAVY blanket for Christmas, 2011. You can tell how much he appreciated it! Make sure you stop by the Sketch N Scrap blog to check out the rest of the DT’s take on this awesome sketch! Hope you can play along! Good morning everyone! I can’t believe its March 1st! Boy is time flying by fast or what! 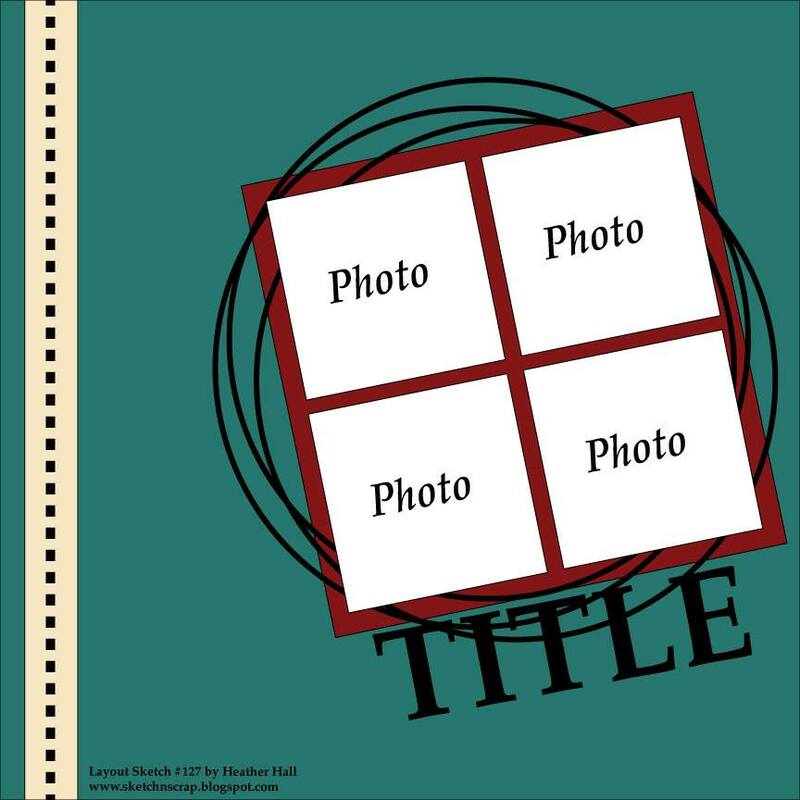 It has room for FIVE pics! And surprisingly…that’s how many I used on my layout! I moved things around a bit. I started with the hexagon pattern paper and fussy cut the edge. 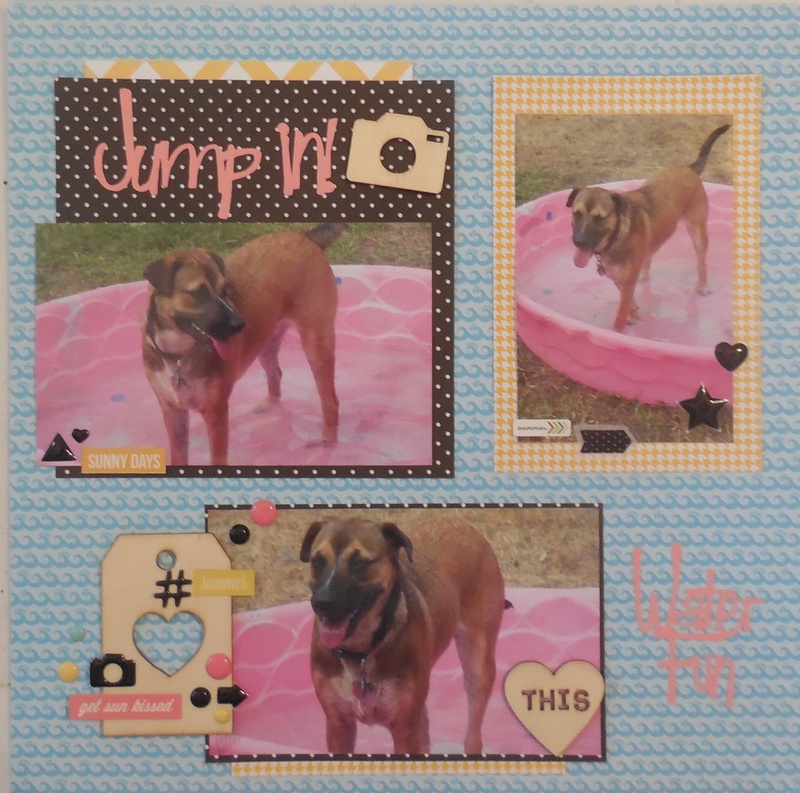 I used black cardstock for my base and photo mats to make everything POP! 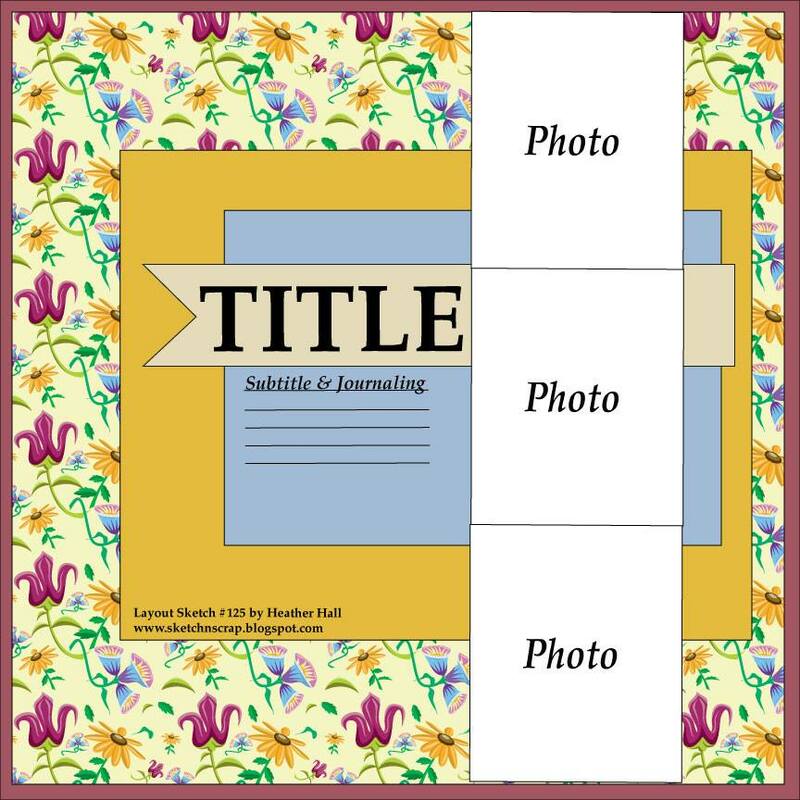 The borders, the title and the washi tape is from the same collection as the hexagon pattern paper – RECOLLECTION “Color Splash”. 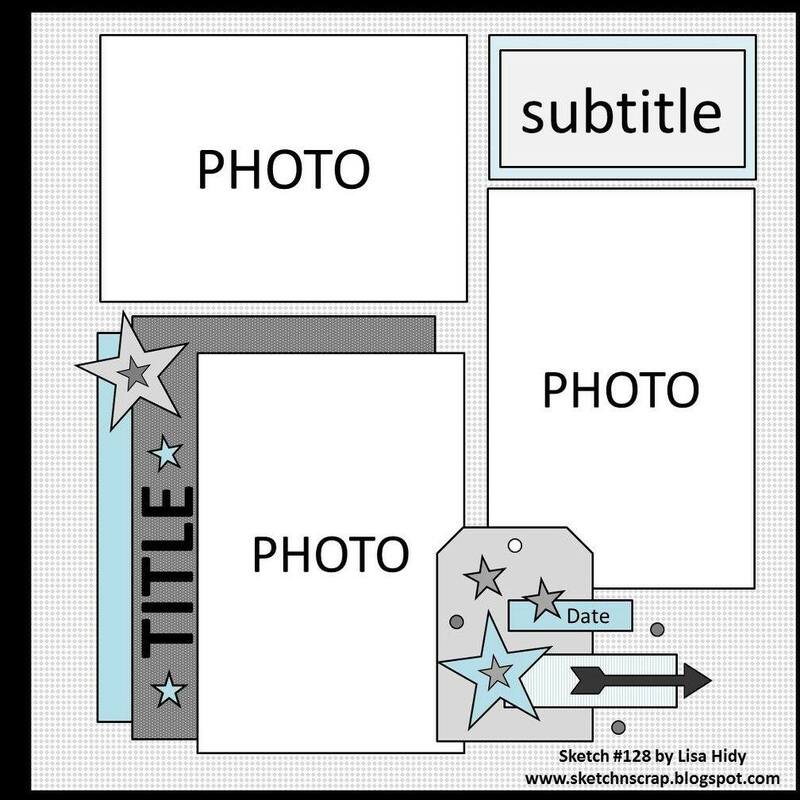 The die cuts are from 2 cartridges. I used “Paper Doll Dress Up” for the palm tree; and “Cricut Font & Basic Shapes” for the little flowers. These are the 2 cartridges I pulled for my March Cricut challenge to myself. 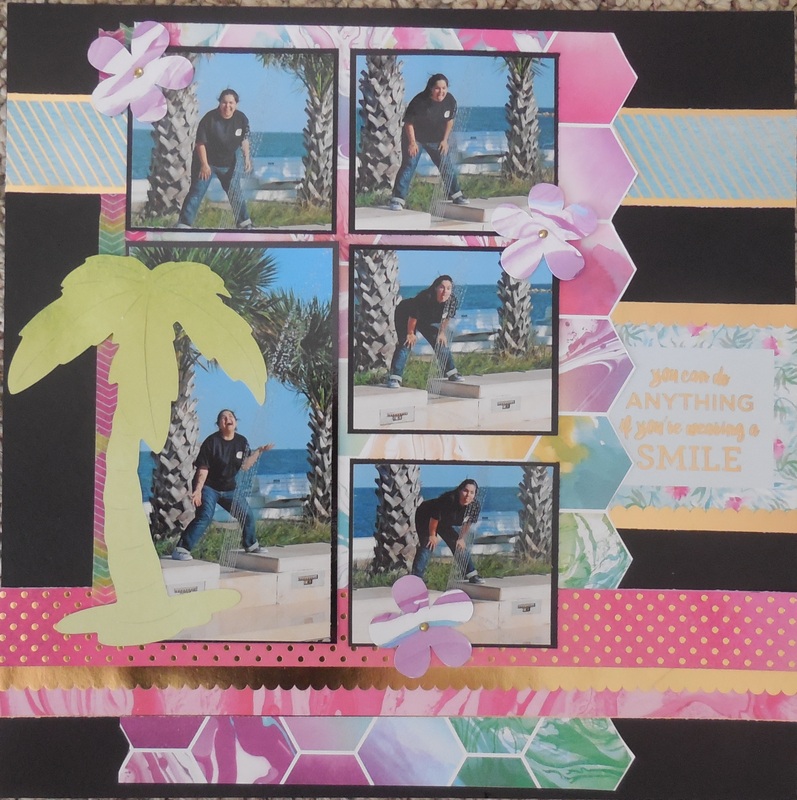 I chose to use flowers and the palm tree because not only do they go with the collection/photos, but that is what I’m challenging everyone to use at ACOT for my March Die Cut Challenge. 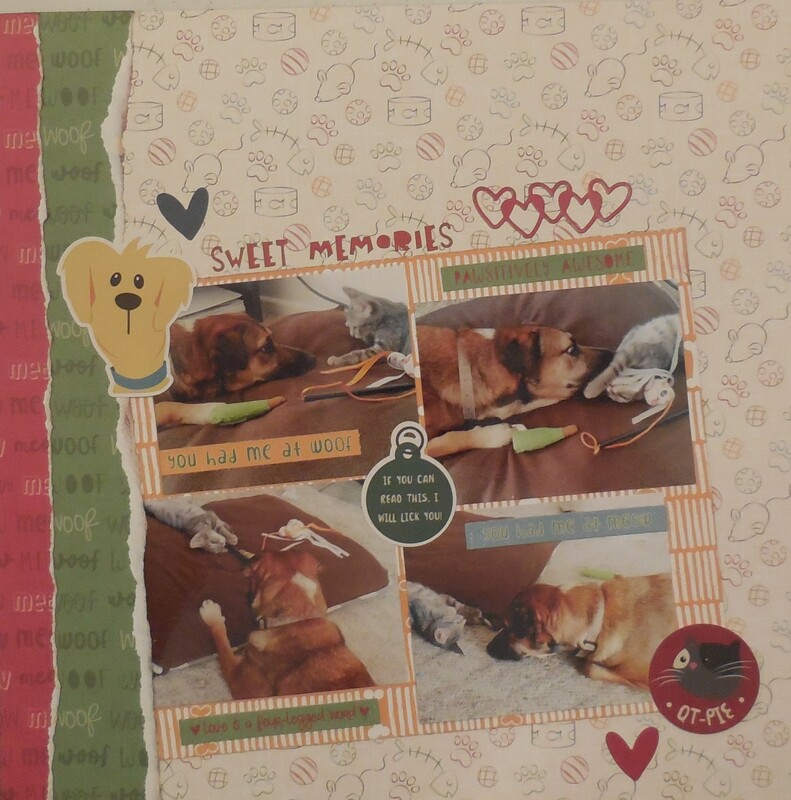 Hope you can join me at both ACOT and Sketch N Scrap to play along! You have until March 31st for all entries! 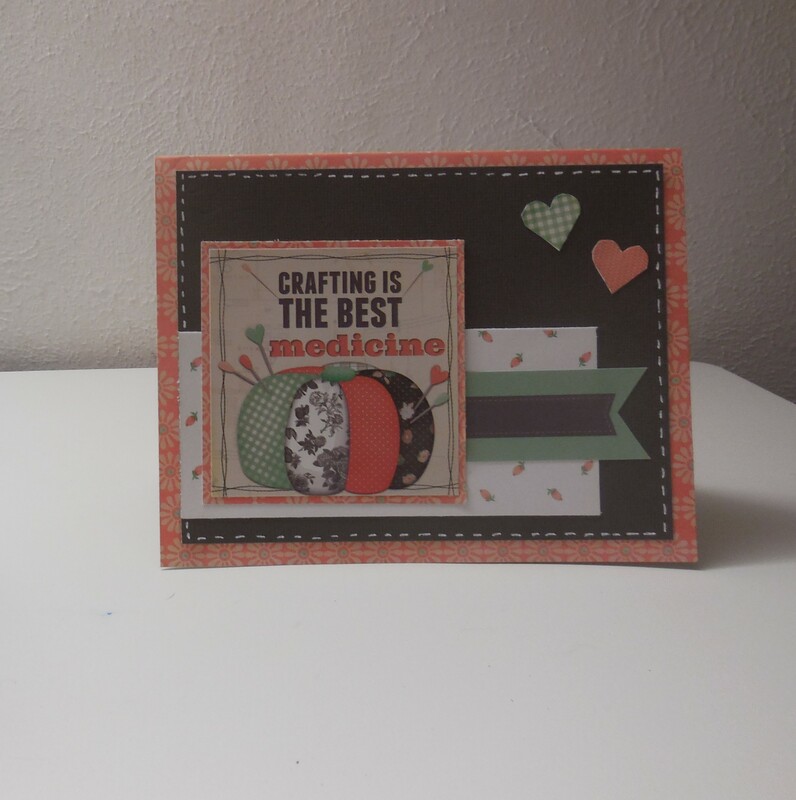 Crafting is the BEST Medicine! Good morning everyone! 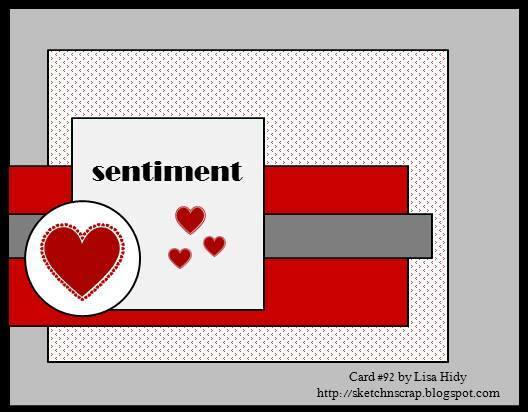 Today I will be sharing with you the newest card sketch by Lisa Hidy at Sketch N Scrap. I used Bo Bunny “Pincushion” collection and moved the hearts over to the other corner. I turned the longer, skinnier piece into a banner and because the banner has “faux stitching” on it, I did the same around the light black cardstock. 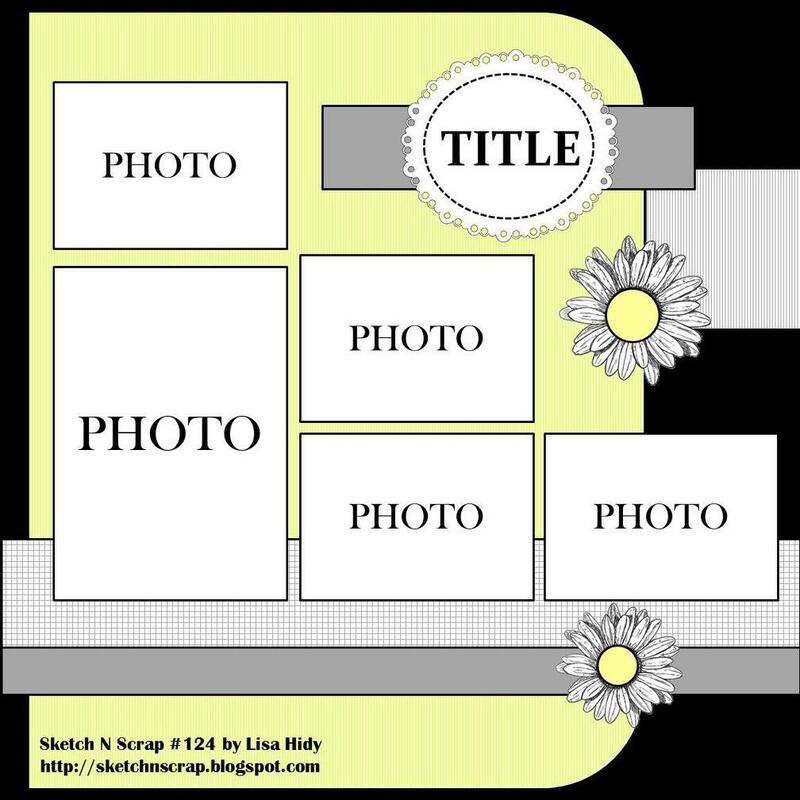 Hope you can play along with us over at Sketch N Scrap! You have until the end of the month to submit your card. Make sure you check out the rest of the DT’s awesome work. Good morning everyone! 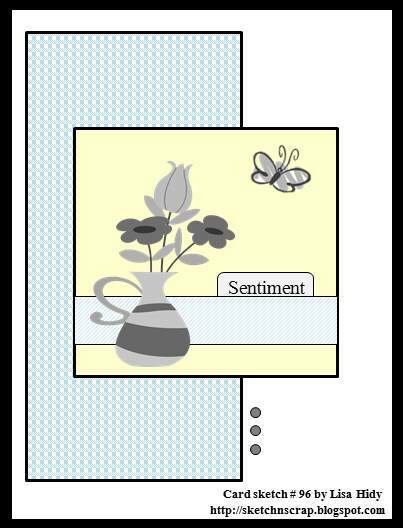 Today I have a wonderful and fun card sketch designed by the very talented Heather Hall at Sketch N Scrap! How fun are those tags, huh? I’ve had all of these items in my stash for at least a few years so it was great to use them! 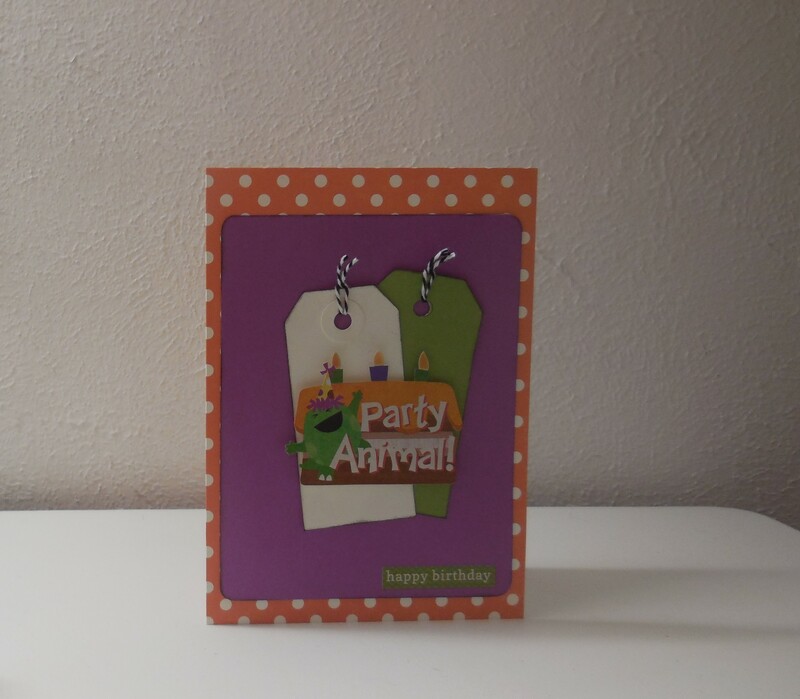 The “Party Animal” sticker is from Karen Foster and that is what I started with while making this card. I then pulled the colors from that sticker – orange, purple, green and white – to use for tags and layering. 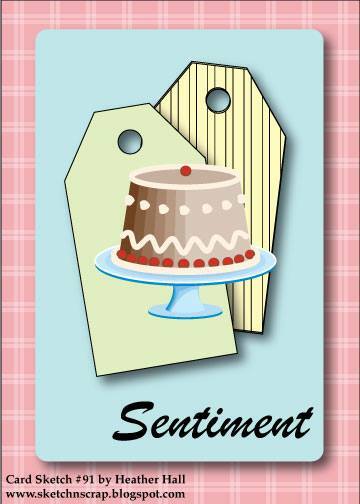 The twine is from Doodlebug and the small “Happy Birthday” sentiment is from Carta Bella. 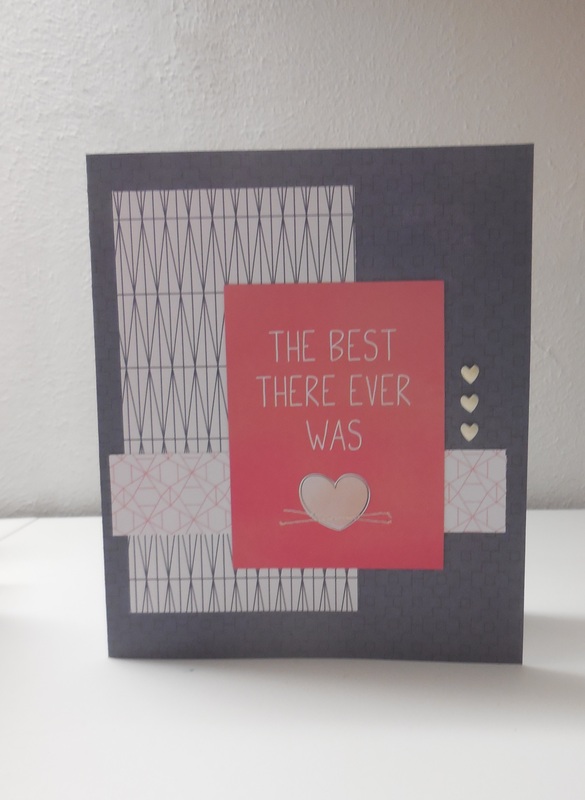 TFL and make sure you stop by the Sketch N Scrap blog to check out the rest of the amazing cards created by the DT. Hope you can play along with us this month!